I am absolutely in love with these lingerie-inspired cookies! I can't get over the detail on them! 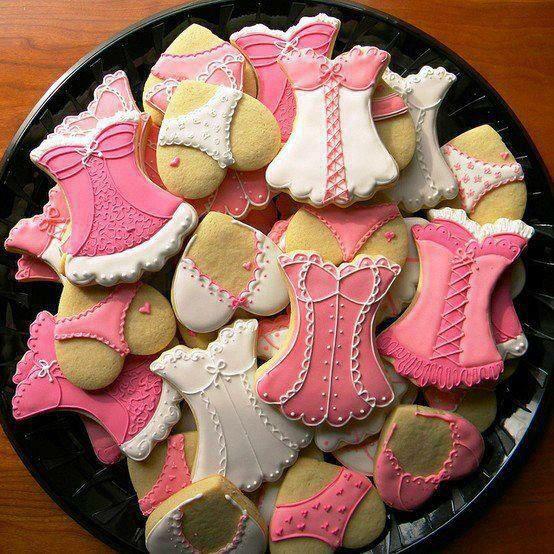 They would be so perfect for a bridal shower or bachelorette party, but I think they're almost too delicious to eat!